We’re recruiting for a new Territory Manager for the Midlands area. This is an exciting opportunity for an experienced sales professional to lead our sales process in the Midlands with an effective business capture strategy for new, existing business and lapsed customers. As territory manager, you will be responsible for commercial sales development for our industrial and security range. You will have responsibility for meeting sales objectives including revenue, gross margin, new account and segment penetration and overall customer satisfaction within your territory. You will ensure that large opportunities are commercially and technically qualified through the sales pipeline. The role is home based. You have a natural business development flair, you will have experience dealing with complex procurement processes along with in depth understanding selling to automotive, architectural design, building & construction, acoustic & filtration markets. You will be formally sales trained and have a proven track record of implementing, managing and reporting sales pipeline and opportunities using recognised sales methodologies. Application requirements: Covering letter explaining why you are the right fit for this role and an up to date CV. 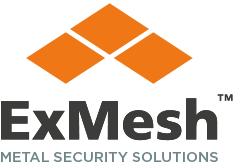 Applications to: Applications should be sent to jobs@exmesh.co.uk. If you have any questions regarding this role, call (0) 1429 867388.